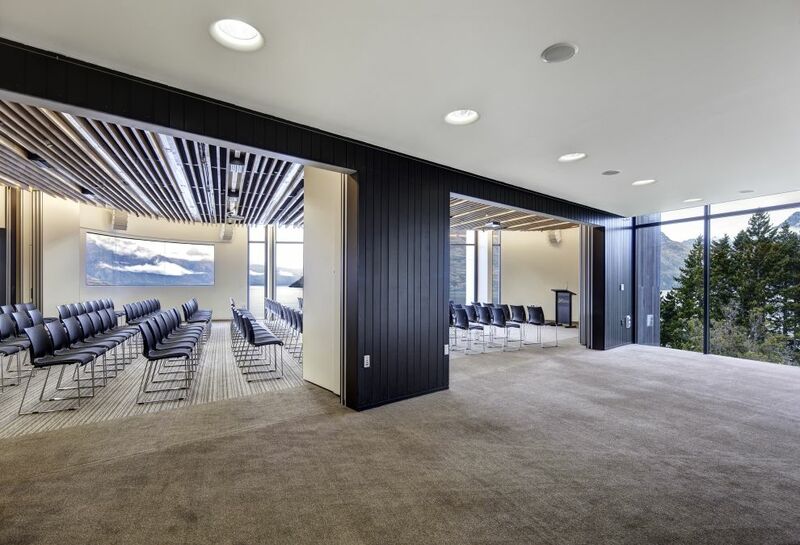 A modern purpose build conference room offering delegates expansive lake and mountain views. With 192 square metres of floor space, we can hold events for up to 250 guests. 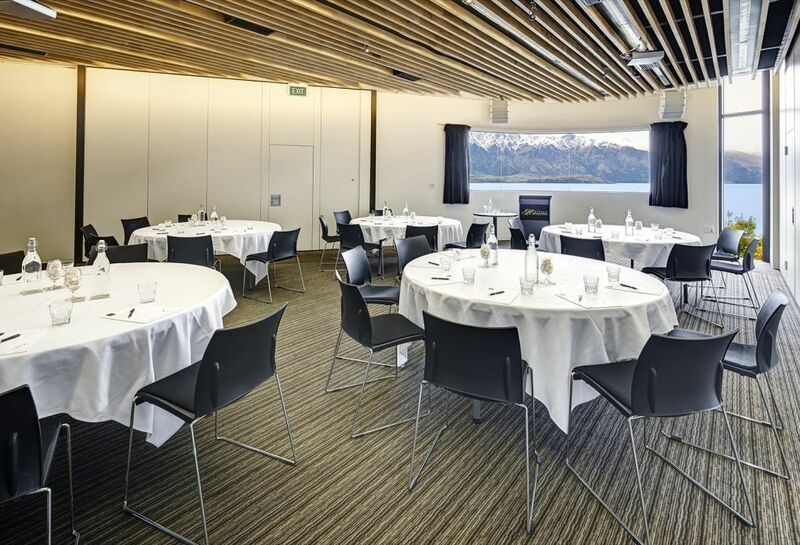 A modern purpose built conference room offering delegates expansive lake and mountain views. With 102 square metres of floor space, we can hold events for up to 125 guests. 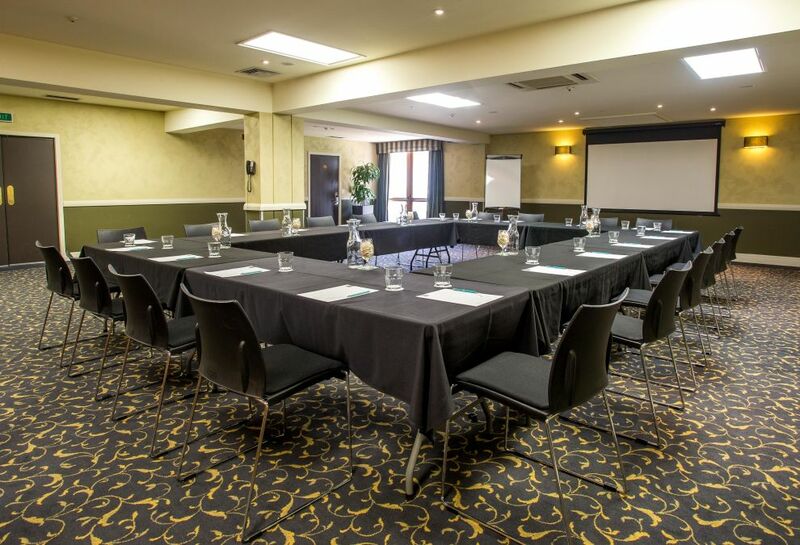 A modern purpose built conference room offering delegates expansive lake and mountain views. With 90 square metres of floor space, we can hold events for up to guests. 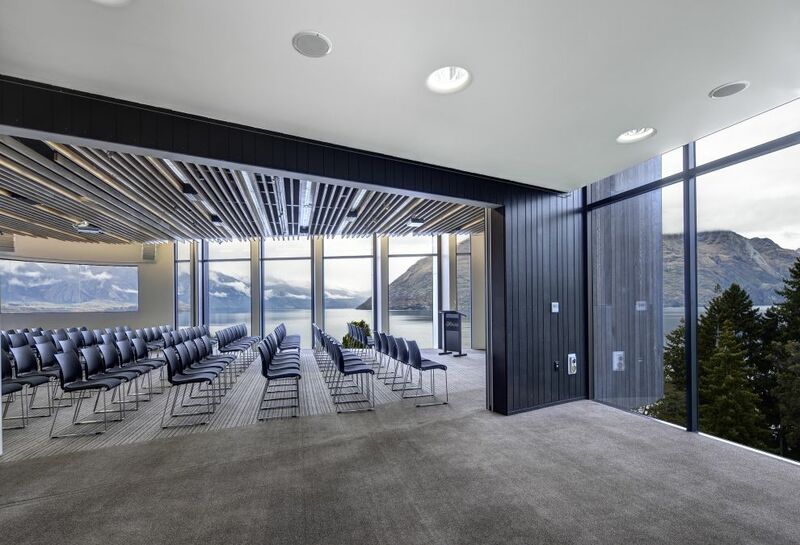 Wrapped around the Icon Room, the foyer area has floor to ceiling windows and a balcony with unobstructed views of Lake Wakatipu and Remarkables Mountain range. Ideal for catering breaks, exhibition/poster sessions and pre-dinner drinks the Icon Foyer is a versatile area. With 140 square metres of floor spaces we can hold events for up to 150 guests. 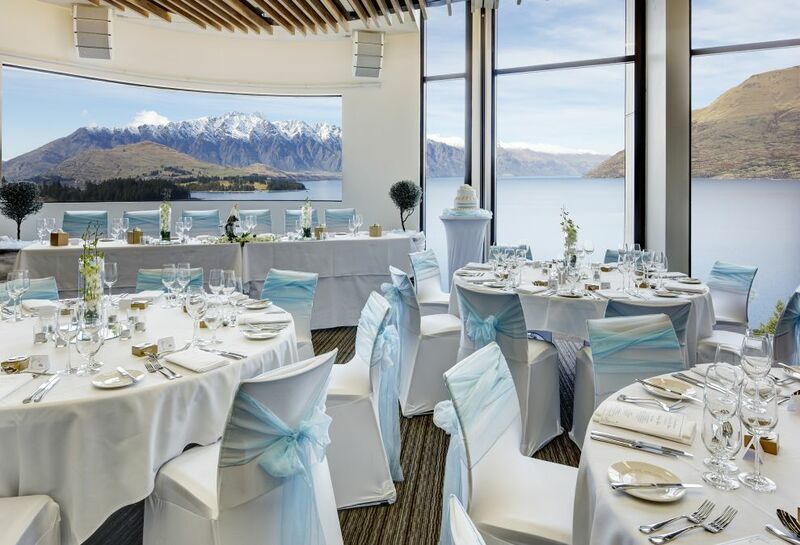 Set the tone of your conference or event with uninterrupted views over Lake Wakatipu and the Remarkables Mountain range. 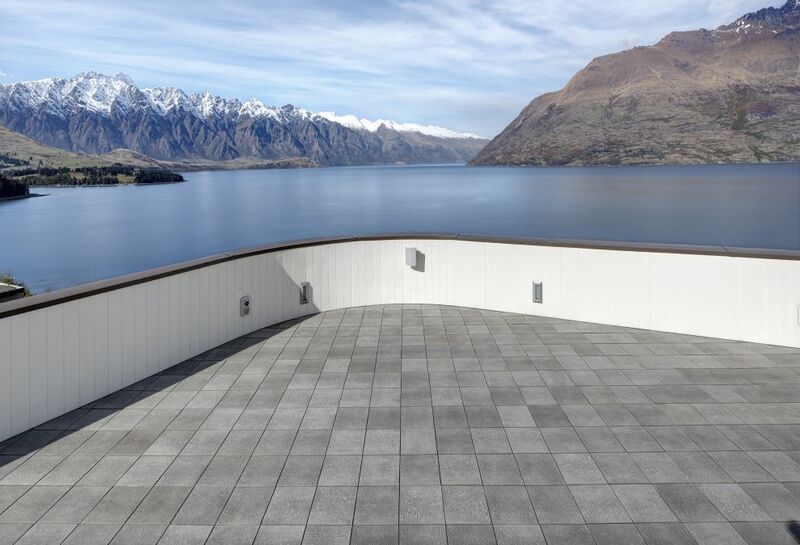 Our stunning rooftop terrace will be the perfect social setting for your delegates in Queenstown. 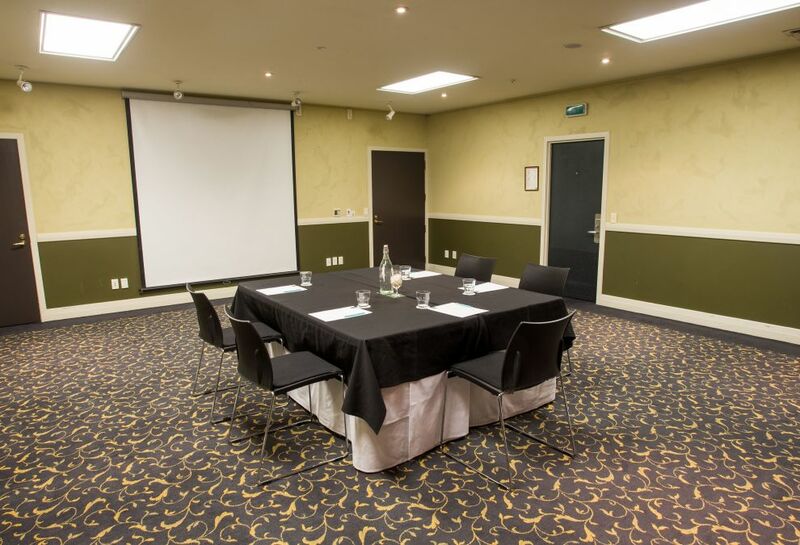 Pounamu Room works well for board meetings, trade shows and breakout space. 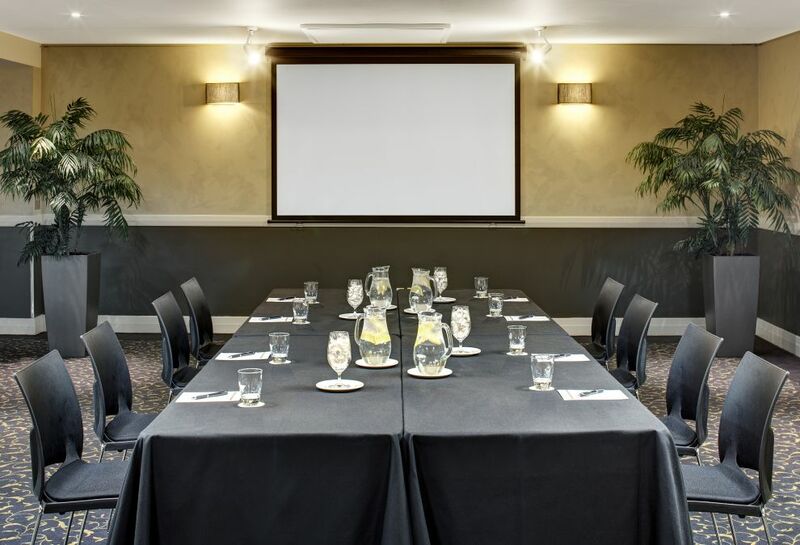 Ideally situated in the main lodge building, Pounamu has easy access to the Icon Conference Centre and Mackenzies Restaurant. With 170 square metres of floor space, we can hold events for up to 180 guests. With 50 square metres of floor space, we can hold events for up to 40 guests. With 120 square metres of floor space, we can hold events for up to 140 guests. 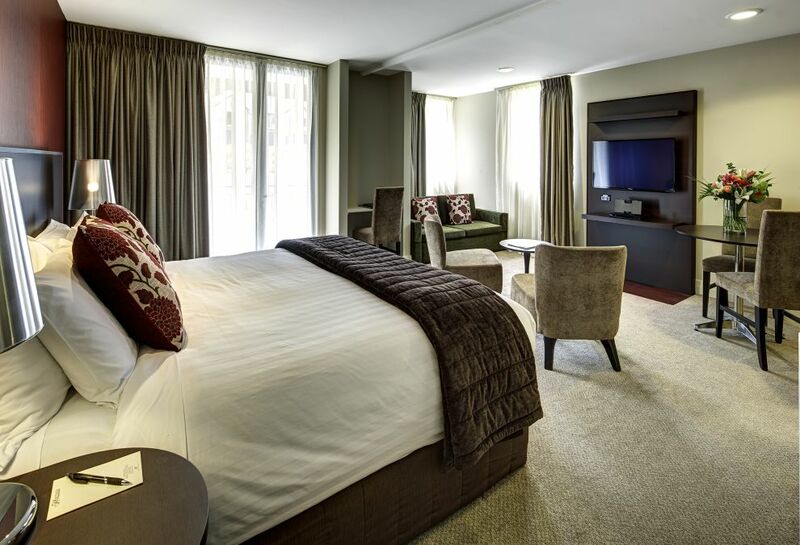 Located close to the Icon Centre, Katoa Suite is ideal for a secretariat space, small breakout room and yoga lounge. 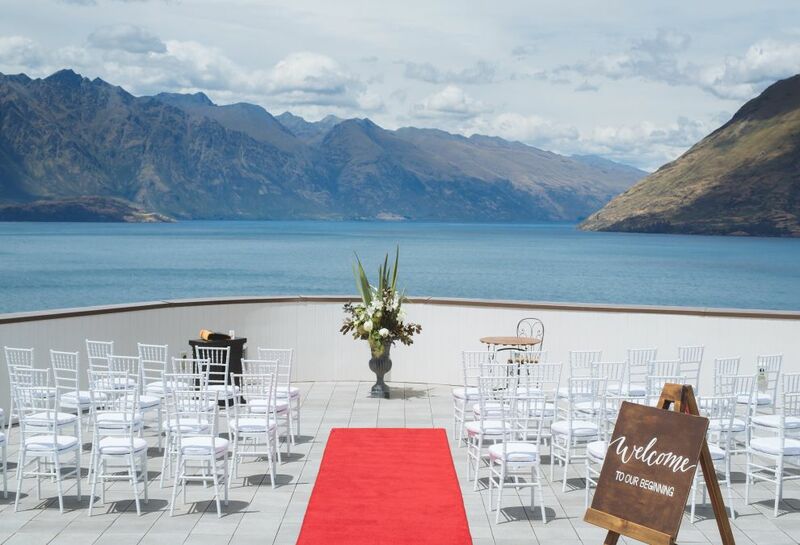 Say 'I Do' with the mountains as your witness. With space for 130 guests our unique rooftop terrace is the ideal place to celebrate with your loved ones. 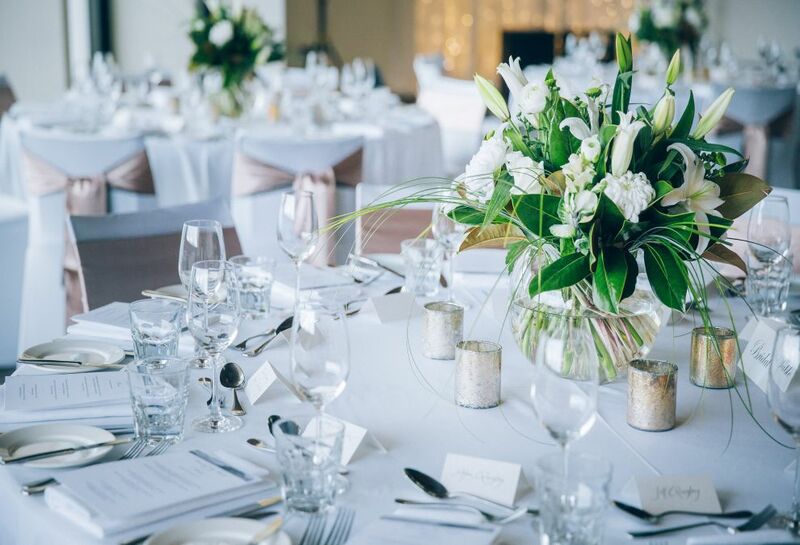 Our Icon Room is the perfect setting for your wedding reception, with floor to ceiling windows we ensure you never loose the beautiful view. Catering for up to 130 guests the Icon Room is sure to impress your guests. Our spacious foyer is a beautiful area to host your guests for pre-dinner canapés and cocktails.